Previous Post:Methods of Soil Conservation: Crop Rotation, Terrace farming, etc. 2.2 What exactly happens in a blast furnace? 2.4 Why coke and not coal in smelting? 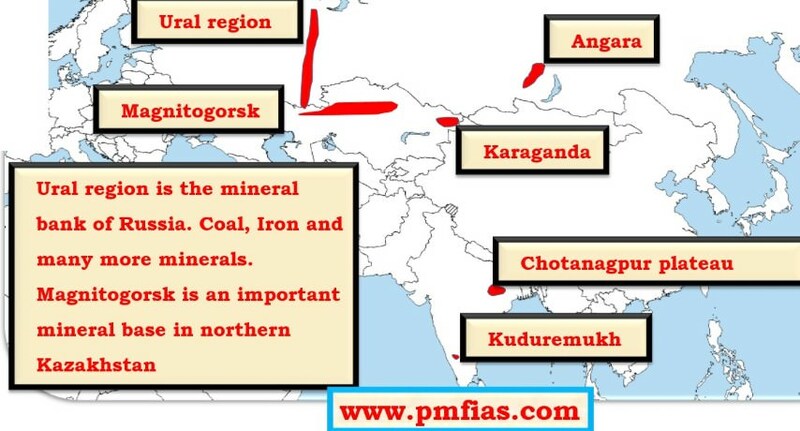 Raw materials – iron ore, coal, limestone, etc. Transportation and other infrastructure – road, rail, ports etc. Investment and Entrepreneurship = banking facilities, human capital for managerial roles. Labour – unskilled to semi-skilled workforce for manual operations, skilled workforce for technical operations. 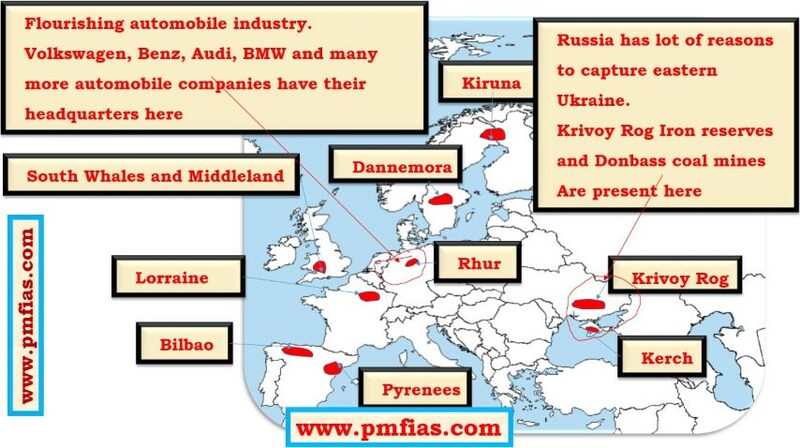 Market – construction industry, automobile industry etc. Government policy – Development agenda, land acquisition, ease of doing business = labor laws, unambiguous and fair taxation policy, least government interference, less red tapeism, quick environmental clearance [Read more from: www.mrunal.org/geography]. 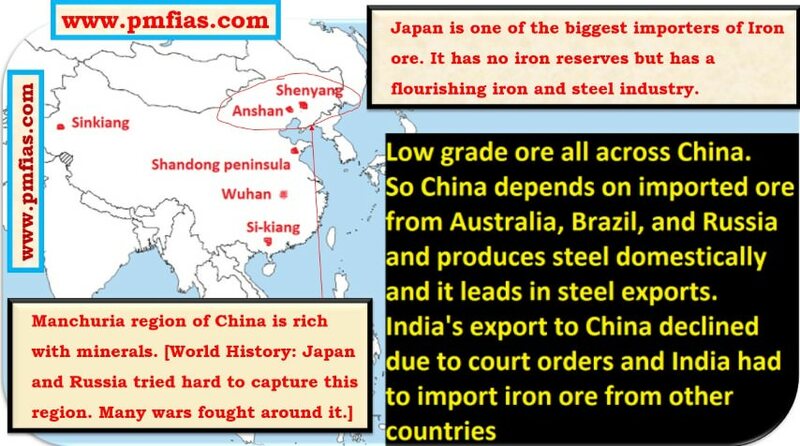 To understand about the factors that influence the location of Iron and Steel Industry, we have to understand about iron ore smelting. Smelting is a process of converting ore to metal by removing impurities. Slightly raises the Strength and Hardness of Steel. Greatly reducing the Strength of Steel ==> very bad. Combines with Iron to form a Phosphide. It increases the hardness and Tensile strength of Steel. It SERIOUSLY affects the ductility and resistance to shock or impact ==> bad. Added to all classes of Steel to improve the machinability of the Steel. It improves tool life ==> small quantities is good. A powerful and most effective de-oxidant. Has a good effect on Sulphur ==> small quantities is good. It forms a low melting point brittle film round the grain boundaries making the Steel practically useless ==> very bad. Of the impurities, some are beneficial when present in small quantities while the others are harmful no matter what their proportion is. So, the unwanted impurities must be removed and this is done by smelting iron ore in a blast furnace. What exactly happens in a blast furnace? In a blast furnace, fuel (coke), iron ore, and flux (limestone) are continuously supplied through the top of the furnace. A hot blast of air (sometimes with oxygen enrichment) is blown into the lower section. In a blast furnace, iron oxides are converted into liquid iron called “hot metal”. Final product è liquid slag, liquid iron (pig iron) and gases. Ore is either Hematite (Fe2O3) or Magnetite (Fe3O4) and the iron content ranges from 50% to 70%. This iron rich ore can be charged directly into a blast furnace without any further processing. 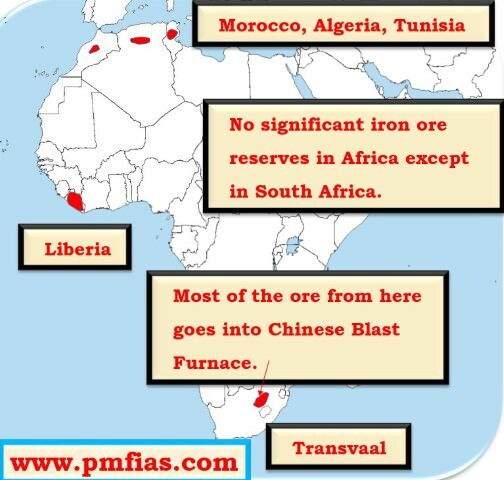 Iron ore that contains a lower iron content must be processed or beneficiated to increase its iron content. Why coke and not coal in smelting? To separate impurities, iron needs to be melted. The coke is the fuel that melts iron. Coal has many impurities and the most dangerous one is sulphur. Coal is cooked to produce coke. This process is called destructive distillation. Coke is a fuel with few impurities and a high carbon content. The cooked coal, called coke contains 90 to 93% carbon, some ash and sulfur but compared to raw coal is very strong. It is acts as flux (a substance mixed with a solid to lower the melting point, especially in smelting). Limestone melts and reacts with Sulphur to form Slag (All solid and liquid impurities). The CaO formed from this reaction is used to remove sulfur from the iron. The CaS [newly married couple] becomes part of the slag. 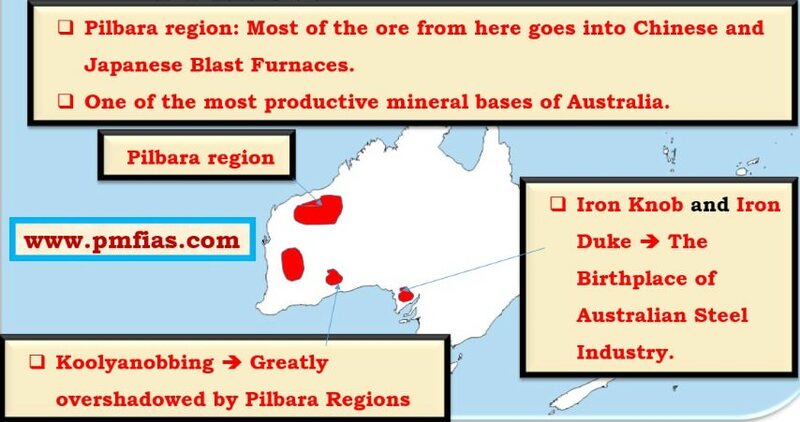 The slag is also formed from any remaining Silica (SiO2), Alumina (Al2O3), Magnesia (MgO) or Calcia (CaO) that entered with the iron ore or coke. The liquid slag then trickles to the bottom of the furnace where it floats on top of the liquid iron since it is less dense. Oxygen in the iron oxides is reduced (removed) by a series of chemical reactions. CO or CARBON MONOXIDE is produced by burning coke. So CO and CO2 are the gaseous pollutants coming out of blast furnace. 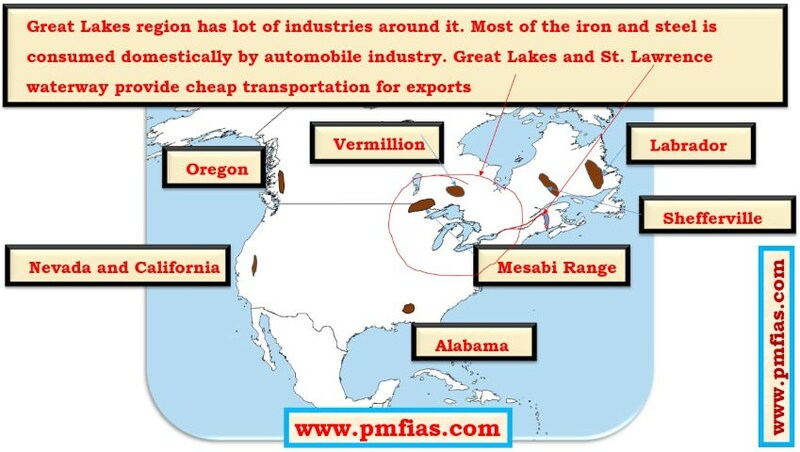 Pig iron is the intermediate product of smelting iron ore. Carbon content greater than 2%. Carbon (C) and silicon (Si) are the main alloying elements. Applications: automotive industry parts, cast iron pan. Carbon content is up to 2.1% (by weight). Steel alloy with a minimum of 5% chromium content by mass. Nickel is another important element of steel alloy. Also contains manganese, molybdenum, and other metals. Cast iron assumes its finished shape the moment the liquid iron alloy cools down in the mold. Wrought iron is a very different material made by mixing liquid iron with some slag. The result is an iron alloy with a much lower carbon content. Wrought iron is softer than cast iron and much less tough, so you can heat it up to shape it relatively easily, and it’s also much less prone to rusting. Wrought iron is what people used to use before they really mastered making steel in large quantities in the mid-19th century.